Joe is known as the â€œintro guyâ€� at Torii Recruitment, the specialist IT recruitment firm he founded in 2012. Finding a good fit in IT recruitment, he says, is a more nuanced challenge than just finding someone with the right skills. Iâ€™m highly driven and passionate about business. However, I focus on maintaining balance in all aspects of my life. I love to enjoy myself, challenge myself and grow as a person. My career has been a constant progression in terms of self-development and learning new skills. Iâ€™ve been lucky to fall into what I do and Iâ€™ve enjoyed the challenges along the way. Torii is agile and able to move quickly, enabling us to understand the market and our clientsâ€™ pain points and deliver a high-touch service in a skill-short market. During your talk in the WeTeachMe Masterâ€™s Series, you mentioned finding a niche and then building a business around filling it. How did you determine IT recruitment was the correct niche for your business? I started my career in IT Recruitment and it wasnâ€™t IT being the niche. The niche was actually working with specific skill sets within IT that the market was experiencing a shortage of. Working with companies, understanding their pain points and looking at where the market was heading, I was able to leverage the skills Iâ€™d built to deliver a service the market and my clients needed. When I started a business, I was good at IT Recruitment. However, when I started working for myself I quickly realized there was a lot more that was happening in the background. I had to start working on building a brand/image in the market which people knew me/Torii for. There were so many new things I had to master and make decisions on that I had taken for granted â€” small things like the software I used, the accounting system we used, and how I sent an invoice. I basically had to learn very quickly, and fill all the gaps to be able to run a business. What are the major things you need to keep in mind when recruiting for a tech start-up versus another type of business? The main difference is not in the companies you recruit for but the type of people youâ€™re recruiting. People who fit the start-up culture are interested and looking for something very different from someone who suits and prefers to work in a large corporate. Start-ups and corporates are always looking for the best person for the job, and itâ€™s my job to make sure we arenâ€™t just sending someone with the right skill but people who are going to fit their culture and working styles. How do you know when youâ€™ve found the perfect candidate for a job? Or vice-versa? Iâ€™d like to say I get excited. But itâ€™s a process, and there are many things that can go wrong from when you initially find a candidate to having a candidate start their first day. I do love the feeling of solving a clientâ€™s problem and delivering the perfect candidate and being able to get a candidate a job, which is exactly what they want and a step up on their last and thatâ€™s what drives me with recruitment. What are the top tips youâ€™d give to a new business looking to hire staff for the first time? Really understanding what theyâ€™re looking for. Itâ€™s easy to say â€œI need a developerâ€�, but you really need to define what that person would be doing on a daily basis, what type of person would be a good cultural fit to build a team around, and then think of whatâ€™s in it for a person joining my company? In your opinion, what is good office culture? A supportive team who works closely and encourages each other to be better whilst having fun. 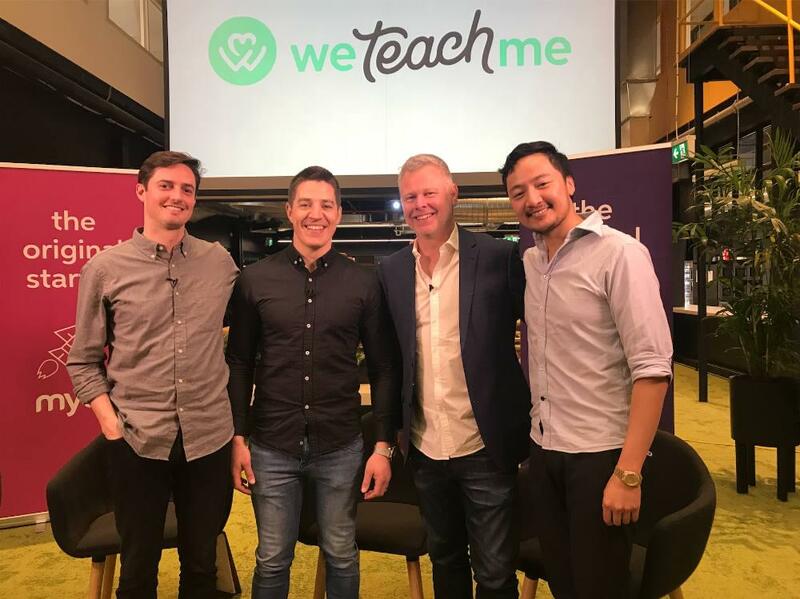 To find out more of how Joe built up his own recruitment firm and his learnings along the way, watch his fireside chat with WeTeachMeâ€™s Masters Series.